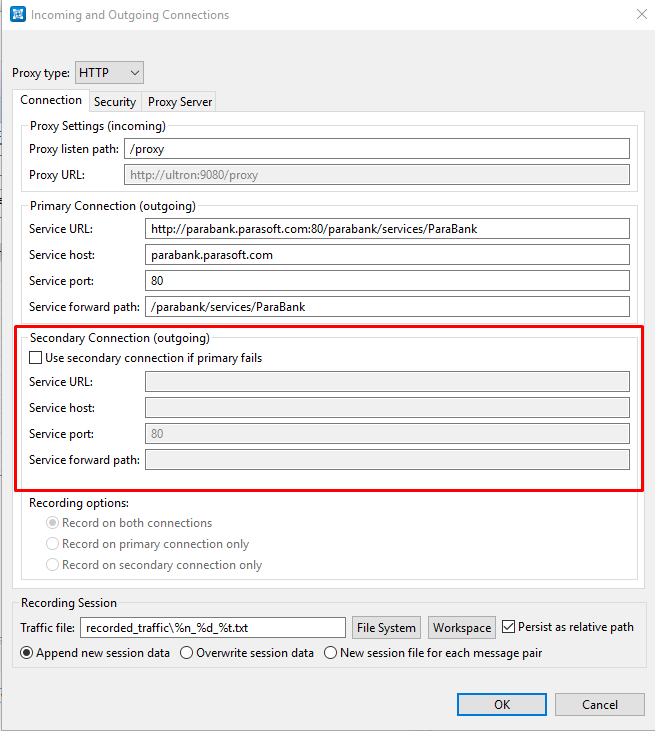 Can a Proxy be set to go to priimary Real endpoint and Failover to secondary Virtual Asset? If so, what are the parameters for the fail-over? Timeout or 50X/40X response? Yes, this can be done with a message proxy. The fail over triggers when the proxy receives a Error status code 4XX or 5XX.